Today we went to Paks to find an alternative product for Yens hair. 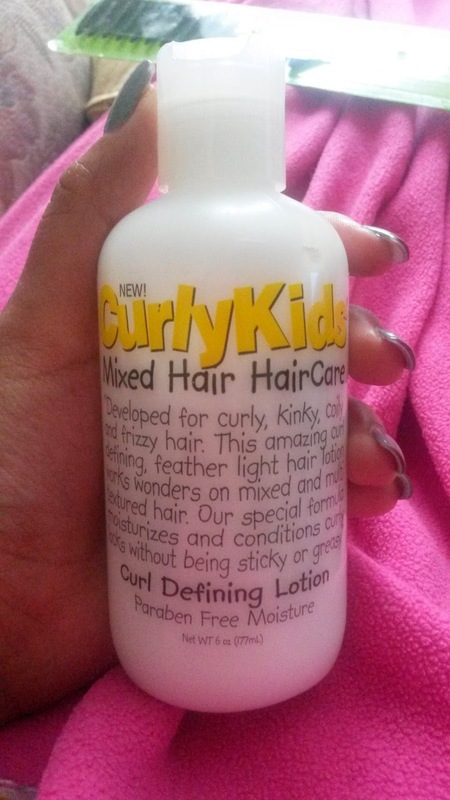 While doing research online I came across this brand seems like a good one for different types of curly hair http://www.curlykidshaircare.com. Looking around in Paks was a bit daunting I must say, I didn't actually know what I was looking for and didn't know which product will be ok in Yens hair. I only bought the curl defining lotion to see how it goes and if Yens curls are looking fabulous I will be getting the shampoo and conditioner. While Yens hair is growing I want to have her hair out more often because the front is quiet thin and I want it to grow with her beautiful bouncy curls not thick frizzy bush. The lotion was only £2.99 for a 177ml bottle and smells amazing.